Disneyland Paris, originally Euro Disney Resort, is an entertainment resort in Marne-la-Vallée, a new town located 32 km (20 mi) east of the centre of Paris. It is the most visited theme park in Europe. It is owned by The Walt Disney Company through subsidiary Euro Disney S.C.A. The resort covers 4,800 acres (19 km2) and encompasses two theme parks, many resort hotels, a shopping, dining, and entertainment complex, and a golf course, in addition to several additional recreational and entertainment venues. Disneyland Park is the original theme park of the complex, opening with the resort on 12 April 1992. 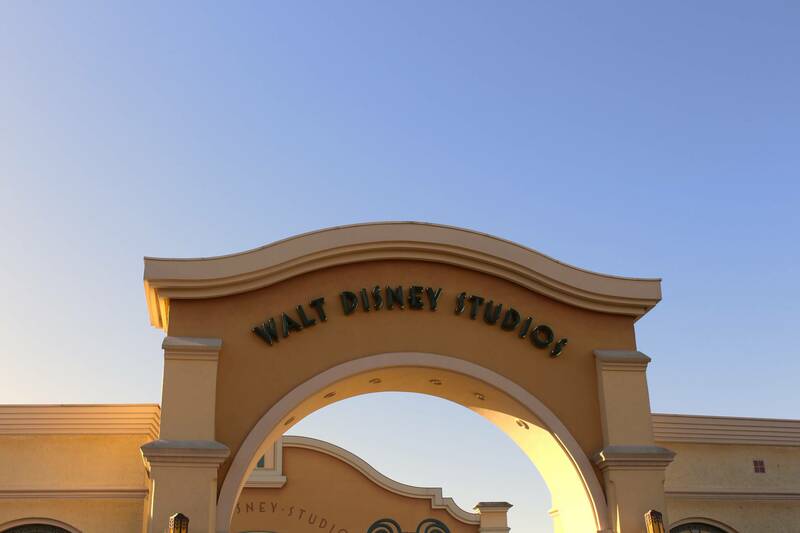 A second theme park, Walt Disney Studios Park, opened in 2002. Disneyland Paris celebrated its 25th anniversary in 2017. In 25 years, 320 million people visited Disneyland Paris. The resort is the second Disney park to open outside the United States following the opening of the Tokyo Disney Resort in 1983. The current CEO is Catherine Powell. In 2018, Disneyland Paris announced it multi-year expansion the project in expected to be completed by 2024 in time for the 2024 Summer Olympics in Paris. The complex features seven Disneyland Paris hotels. The Disneyland Hotel is located over the entrance of the Disneyland Park and is marketed as the most prestigious hotel on property. A body of water known as Lake Disney is surrounded by Disney's Hotel New York, Disney's Newport Bay Club, and Disney's Sequoia Lodge. Disney's Hotel Cheyenne and Disney's Hotel Santa Fe are located near Lake Disney; Disney's Davy Crockett Ranch is located in a woodland area outside the resort perimeter. 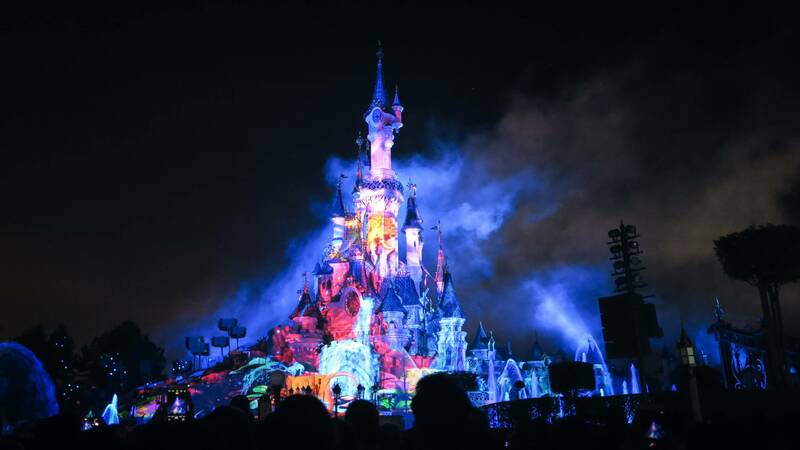 Disneyland Paris has strict rules designed to prevent visitors from seeing backstage areas of the park. Photography and filming are strictly forbidden in backstage areas. The edges of the parks are lined with ride buildings and foliage to hide areas that are not for the public to see. Numerous gates allow entrance into the park for cast members, parade cars etc. When gates around the park are open, anything that can be seen through them is considered part of the Disney magic. Therefore, from the second the gates are open, all of the crew must be in character and in place to 'perform'. As the complex is so big, shuttle buses take cast members to different parts of the park via roads behind the parks. Many attractions are housed in large, soundstage-like buildings, some of which are partially or completely disguised by external theming. Generally, these buildings are painted a dull green colour in areas not seen by guests; this choice helps to disguise the buildings among the foliage and make them less visually obtrusive. Walt Disney Imagineering has termed this colour "Go Away Green." Most of them have off-white flat roofs that support HVAC units and footpaths for cast members. Inside are the rides, as well as hidden walkways, service areas, control rooms, and other behind-the-scenes operations. Disneyland Paris | eTips Inc.